Got a car for sale in Louisville? *July 26th update below. * The transmission I had overhauled three years ago in my Ford Ranger has given out again. Too expensive to repair it (for a third time), so I’m putting the word out to see if anyone knows of an inexpensive replacement around Louisville, preferably used. I really don’t even care if I get another truck. I’d like to find another car that will last at least 5 or 6 years and gets 25 mpg or more. Something around $3-6k, is about all I can afford. Or should I just buy a scooter and rent cars for long trips? Of course, this happens right in the middle of needing to find a new apartment by mid-August, so if you have tips on that, too, I’m all ears. Need an apartment or house for three (clean) bachelors. The Ranger never did get along with the mechanics. 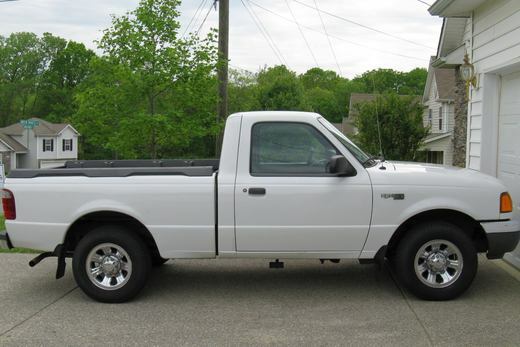 *UPDATE* Well, my friend Dawn at Carriage Ford found me a great deal on another Ranger (used, 2007) this afternoon. Went ahead and bought it. I’m sure I’ll have more info about it soon.